This article first appeared in Personal Wealth, The Edge Malaysia Weekly, on November 27, 2017 - December 03, 2017. Investors can adopt a smart beta portfolio strategy by buying into the top 15 stocks on the FBM KLCI to generate better returns for their retirement, said Chan Ken Yew, head of research at Kenanga Investment Bank Bhd, at The Edge-Kenanga Retirement Forum 2017. This portfolio also generated positive returns in 2014 and 2015, when the index posted negative growth. In 2014, it generated a return of 3.5%, when the KLCI was down 2.6%. The following year, it saw a return of 7% while the index posted negative growth. These returns are total returns, which take into account the capital gain and dividend yield of a stock, said Chan. Those who are looking at investing for their retirement can invest in stocks that consistently outperform the market and pay out dividends, regardless of the market conditions, he added. 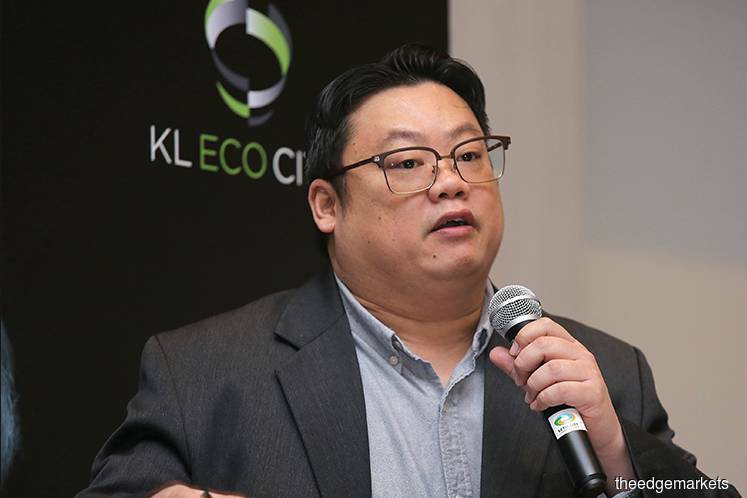 On the market outlook for 2018 and investing strategies, Chan said with the FBM KLCI hovering at the 1,750-point level, this is a good time for investors to enter the market as local stocks in general are relatively cheap. This is reflected by the price-earnings ratio (PER) of the FBM KLCI, which is at a premium of about 2% against other regional indices. While the benchmark index has always traded at a premium against its peers, it used to be higher at around 4%. As a result, there has been a lot more buying interest from foreign investors, said Chan. “Foreign investors are turning into net buyers again in the equity market. Foreign shareholding on the FBM KLCI is currently on the higher side, which is good news. As stock prices are still relatively cheap, foreign investors won’t sell aggressively [even] if something happens and the market looks less attractive,” he added. Based on his research, Chan said the ideal buying level is when the FBM KLCI is about 1,720 points. The index is expected to go above the 1,800-point mark at the end of the year. However, he cautioned investors to be mindful of the risk of an interest rate hike by Bank Negara Malaysia. The central bank could raise the overnight policy rate as the economy seems to be improving better than expected. According to Chan, there are pockets of opportunities in the power and water infrastructure sectors. Tenaga Nasional Bhd (TNB) is one of his stock picks. The counter is trading at a PER of about 14 times, which is way below that of the FBM KLCI. The low PER is due to the misperception of foreign investors, said Chan. “Foreign investors are expecting the government to not hike the electricity tariff [which will suppress TNB’s earnings] due to the coming general election. To us, this the wrong perception. Even without the hike, the government will still need to compensate TNB on behalf of consumers. That is why its valuation is low,” he added. The valuations of water infrastructure stocks are expected to hit bottom. There is a positive outlook as water pipes are gradually being replaced. This is expected to reduce the rate of non-revenue water and improve the companies’ earnings, said Chan. Meanwhile, there are potential investment opportunities in the oil and gas, plantation and property sectors. O&G stocks that are trading at low valuations and are expected to benefit from the completion of the Refinery and Petrochemicals Integrated Development Project are favoured, said Chan. “The project is at the final stage of completion. Some counters, such as Dialog Group Bhd and Serba Dinamik Holdings Bhd, could benefit from this,” he added. The plantation sector has been a laggard since the start of this year as investors have not seen much surprise in terms of crude palm oil (CPO) price movements. “We expect CPO prices to hover around RM2,500 to RM2,600 per tonne. However, if La Nina occurs, prices could go beyond RM3,000,” said Chan. Meanwhile, the valuations of property stocks are near their bottom. “We are looking at it more from a trading point of view. The sector is not so much about earnings, but news flow,” he said. According to Chan, construction counters — which are believed to perform better ahead of the general election — are currently overbought. So, prices are expected to decline going forward. “These counters used to have a single-digit PER. Now, it is in the mid to high teens. This has prompted us to take a more conservative view,” he said. The semiconductor sector, which investors were bullish on in recent years due to the weaker ringgit, is also not as attractive now. In addition to a strengthening ringgit, the global semiconductor up cycle has lasted 13 months and could come to an end in the next six months. This can be seen from the slowing growth of semiconductor sales globally, said Chan. “The average cycle of the sector is 20 to 26 months, historically. And high growth usually occurs in the early stage. We have turned conservative on the sector as it is now in the 13th month of the up cycle,” he added.